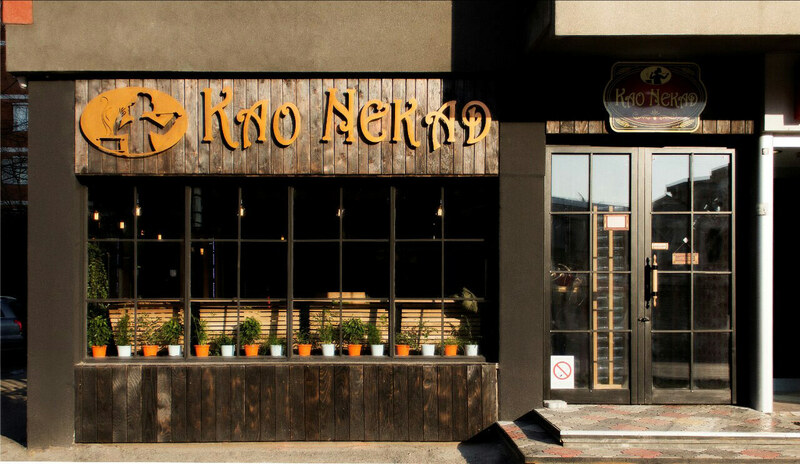 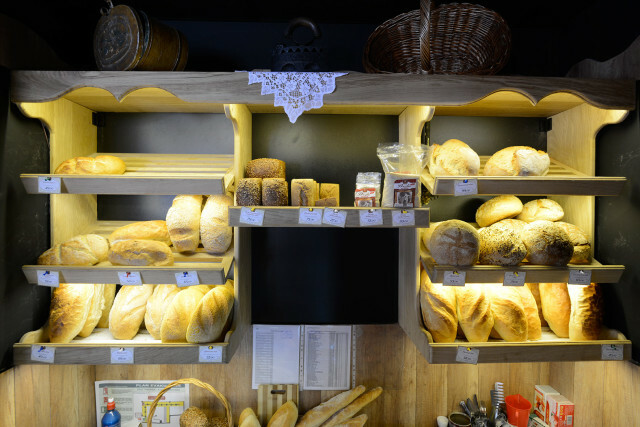 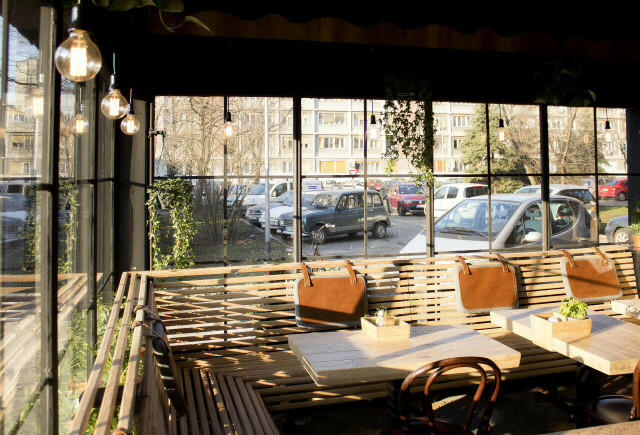 Domestic food restaurant “Kao nekad” is an extension of the basic bakery concept of “Kao nekad” bakery chain, since the company wanted to extend the offer for their clients in Novi Sad, Serbia. 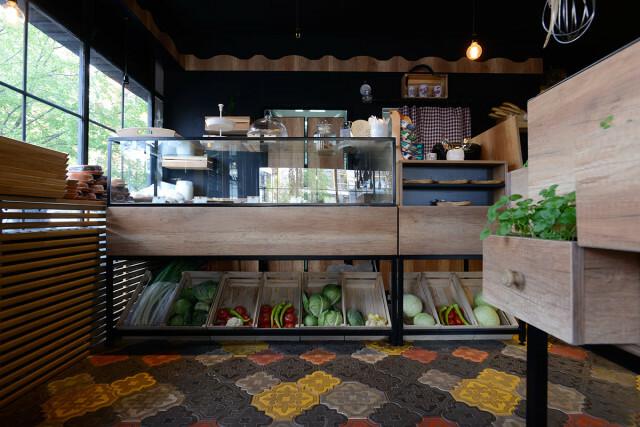 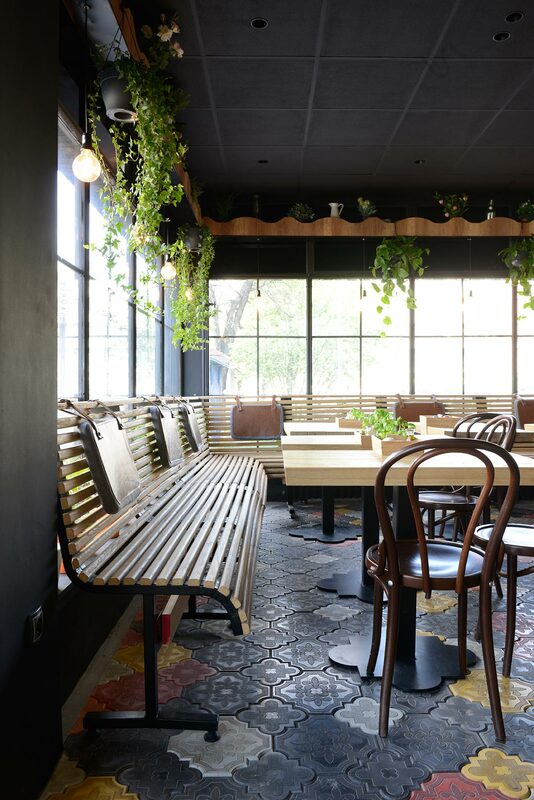 The idea behind the extension was to bring the nature inside the restaurant, alongside the basic concept of bringing back the childhood memories as the name of the company says (Kao nekad – Like in the old days). 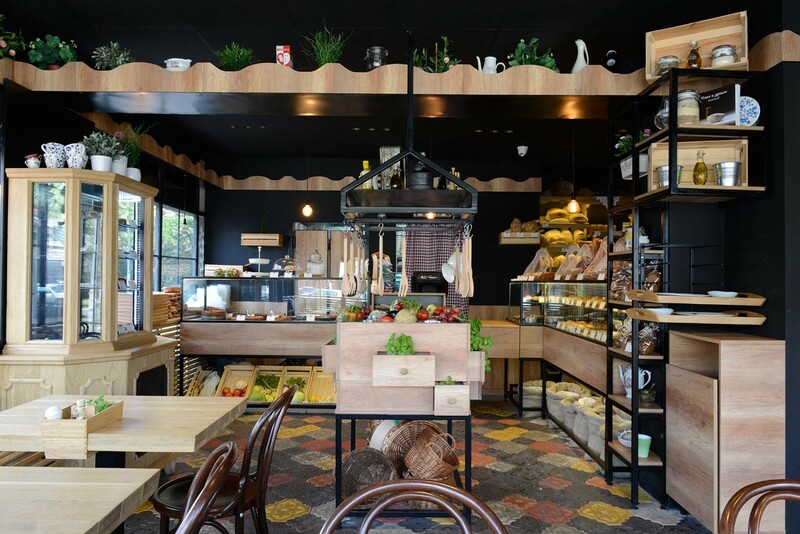 Space is divided into three segments, dining, food and bakery product orders and self-service (salad bar, freshly squeezed juices and cakes).  Segments are highlighted by different light intensity. 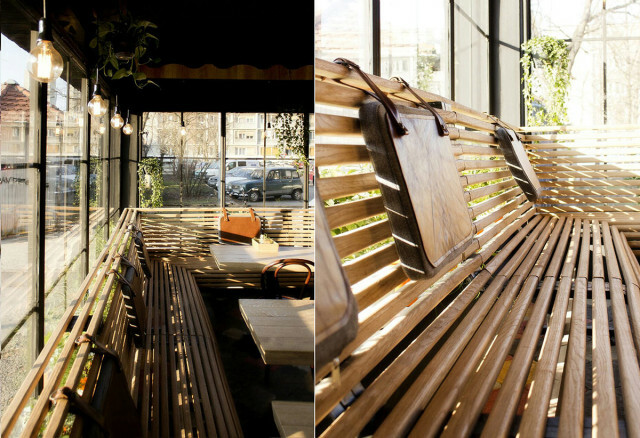 Movement through the space is directed by the lighting and furniture. 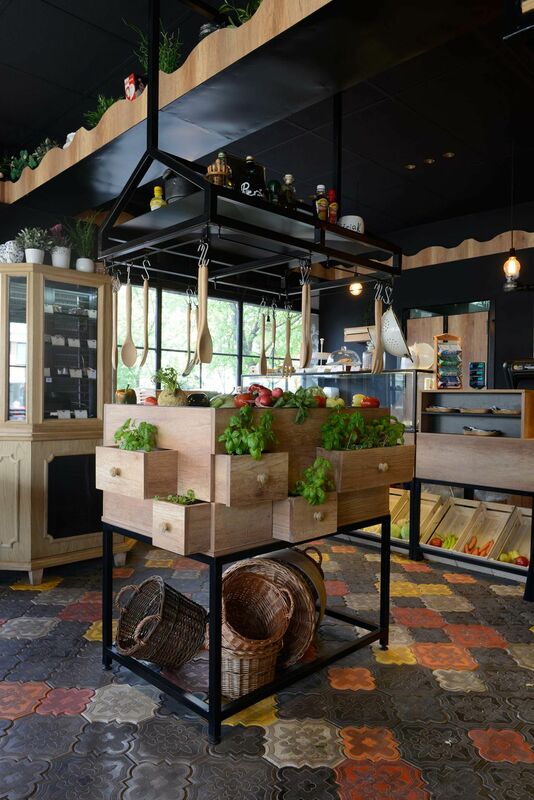 The used designs and materials had to be simple and basic, so reuse of the kitchen equipment and accessories has been the main and inexhaustible inspiration, hand in hand with the usage of greenery. The preexisting large windows facilitated the process of bringing the nature indoors. 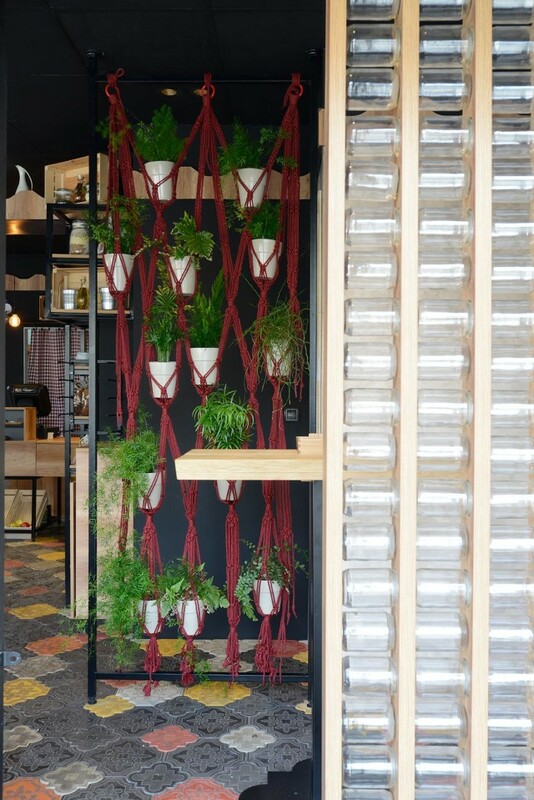 Potted vegetables and herbs hang from the ceilings and line the shelves. 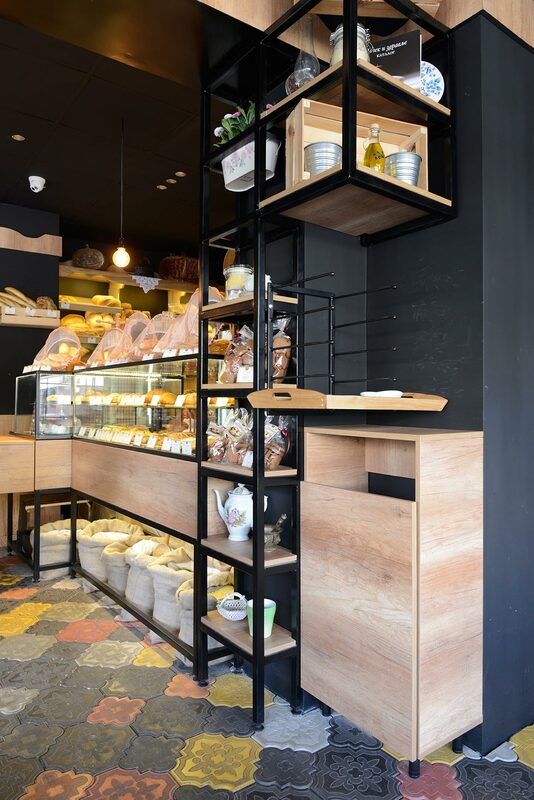 In particular, the central shelf puts plants at the heart of the design, where they may be admired by visitors and used by the bakers. 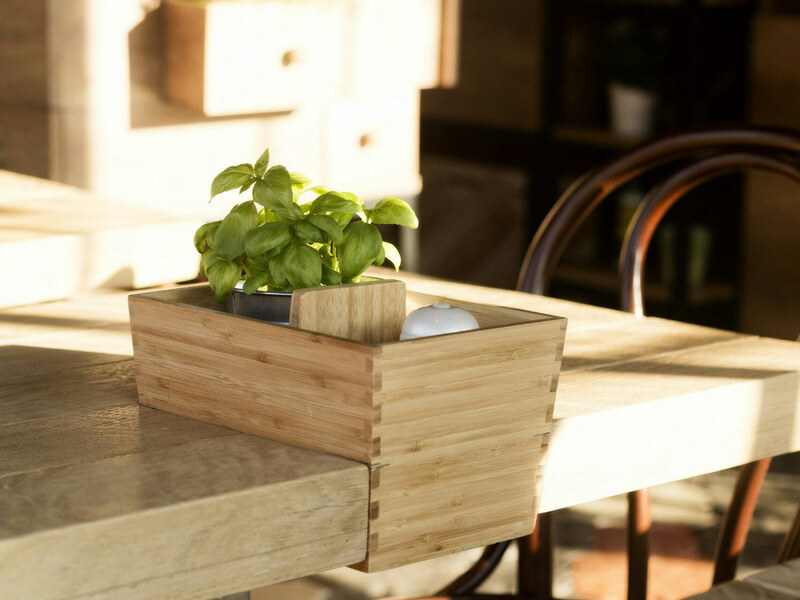 A piece of furniture also divides the room so that the space feels cozy from all corners, enriching the restaurant with the feeling of being in grandmother’s dining room. “Kao nekad” bakery manages to create a different and exciting atmosphere, while retaining and upgrading the original brand and reputation.